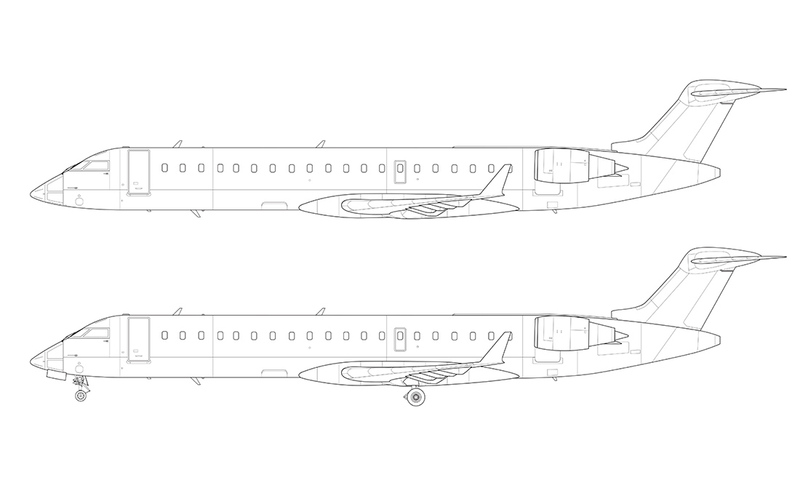 It took far longer than I thought it would, but finally – here is the line drawing and all white template of the Bombardier CRJ-700. 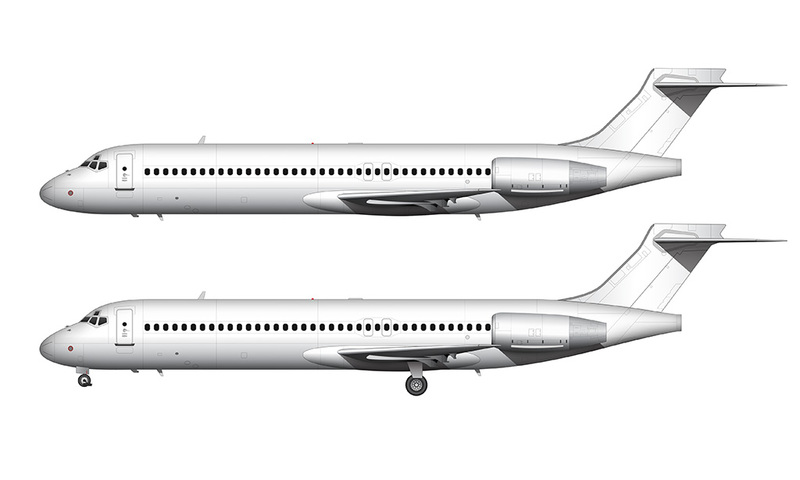 I was assuming that these illustrations would be really simple and all I would have to do is stretch the CRJ-200 template that I recently completed, but it turns out that the only thing the -700 shares with the -200 is the fuselage sectioning. Everything else (vertical stabilizer, the wing and wing box, engines, and main landing gear) is different, which means that I pretty much had to start from scratch. 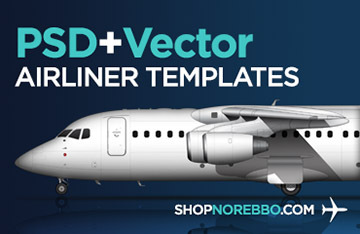 Heck – even the windows sit higher in the fuselage. 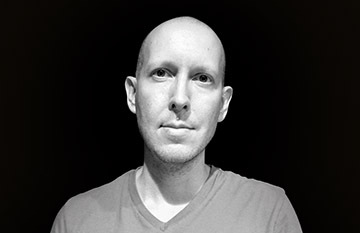 I wasn’t expecting all those differences, so my enthusiasm was quickly doused once I realized what I was up against. 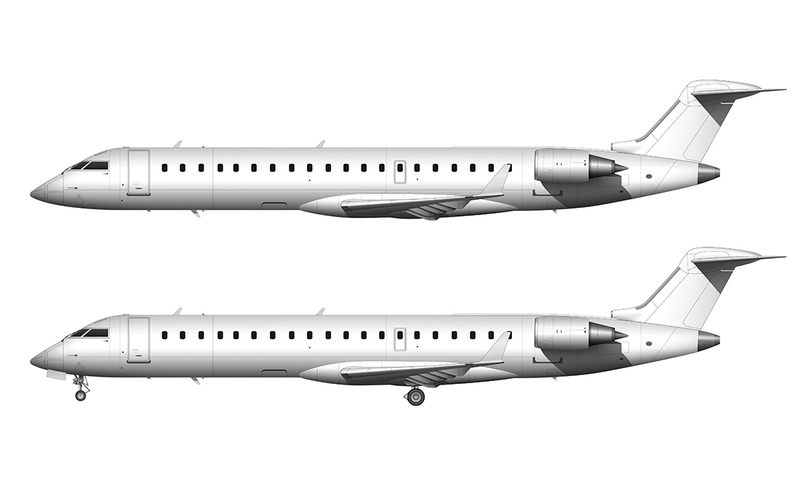 I ended up putting these templates aside for a while, but one of my other projects needed an illustration of a CRJ-700 so it became necessary to get this thing wrapped up. The problem is that I haven’t been in the mood to work on airliner art recently, but I’m feeling energized again now that this one is finished. It’s a great feeling when I finish one of these templates! They take a lot of time to create and I get a huge sense of satisfaction scratching another one off my to-do list. I also hate having half-finished projects lying around reminding me how much I’ve been slacking, so yeah – I feel pretty good to have this side-view CR7 template complete so I can move on to other things.